No doubt, the stunning Maremma National Park in the south of the region is one of the best destinations for hiking in Tuscany. A protected wildlife area, the park offers everything a nature lover's heart desires. right on the coast, the panorama is incredible. Views stretch from the park mountains' along the coastline to the Monte Argentario peninsula and out over the sea towards the isles of Giglio, Montecristo and Elba. walking paths are properly signed out and kept in good shape. It reminds me of hiking in Switzerland. 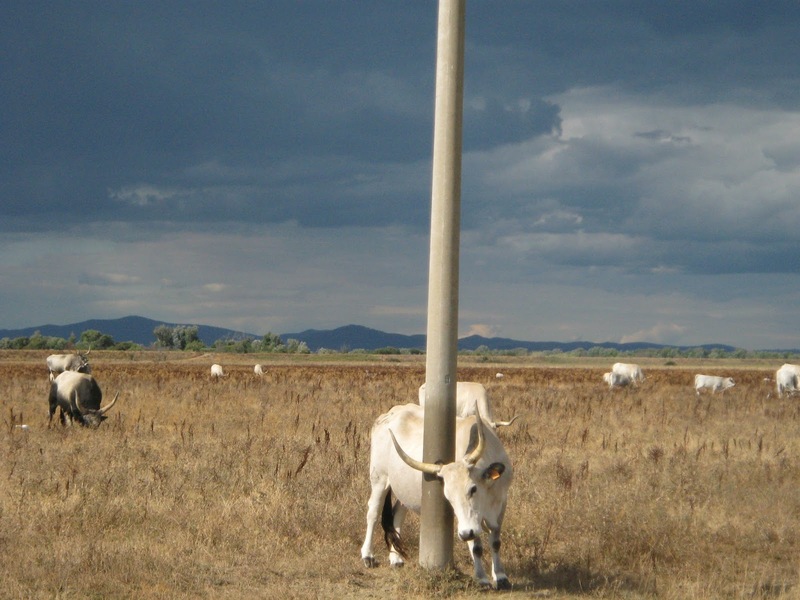 You'll appreciate the Maremma park's serious approach, if you ever got lost on what Italians normally call a 'signed out' walk. the fauna of the park is plentiful: from Maremma cows and horses to wild boars, foxes and turtles. the protected flora is Mediterranean at heart (pine woods, marshlands, aromatic herbs, ancient olive groves,...) and just breathtakingly beautiful. the climate: migrating birds like it as much as people dipping their feet into the sea on a mild and sunny winter day. the pristine beaches! 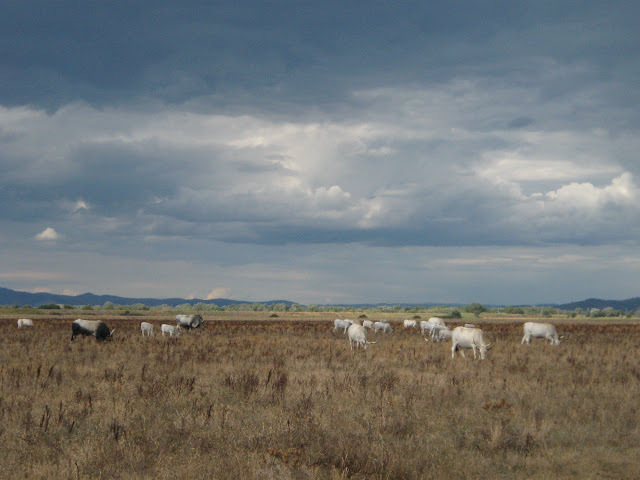 The Maremma National Park sports one of the most beautiful and unspoiled coastlines in Tuscany. Collect shells and drift wood to start working on that beach hut. it's a national park (legally speaking a regional park, but services are those of a national park) and as with everything in Tuscany, you'll have history all around you: visit the sturdy Renaissance look-out towers built by the Medici to ward off pirate invasions (e.g. hike A 2) or the ruins of a medieval monastery (check trekking route A1 for San Rabano abbey). There are 14 walking and trekking routes to choose from. All of them are spectacular in their own right. Some are for the master hiker and others can be confidently approached by the unfit too. Hike A2 - Le Torri can be done in company of small kids and toddlers in a pram. Instead of doing the first part of the walk via the the woods just stay on the small tarmac road to and from the sea. It's less into the wild that way, but the scenery is still to die for. 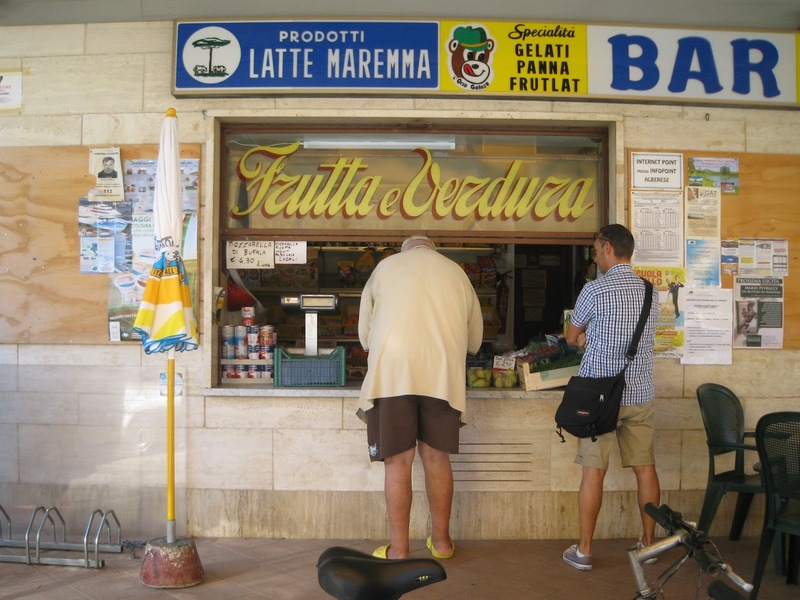 Stock up on water, sandwiches, fruit and chocolate at the shops and bars near the park office in Alberese (or in Talamone, in case you start from there). Remember to hold on tightly to your food. You're likely to encounter seemingly tame foxes, which are rather determined to get to your Tuscan prosciutto and cheese sandwich. Also, make sure you'll arrive early. The last bus leaves by 4 pm at the hiker's pick-up stop in the park. Forgot your walking boots? 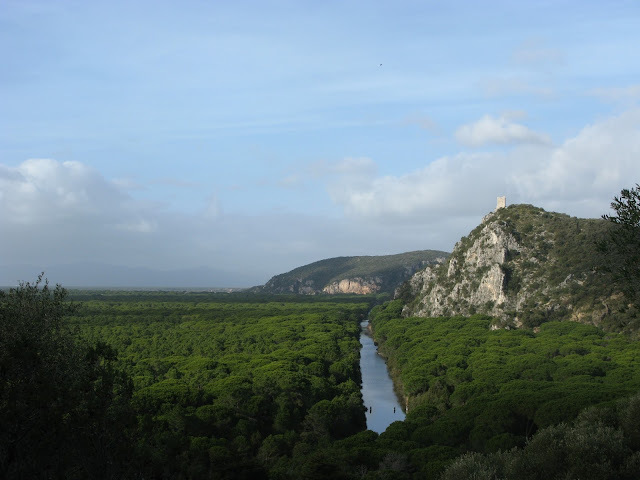 Hire a bike in Alberese and enjoy the ride along the national park's well kept cycling path. Around 8€ per bicycle per day, but you'll be saving on the park entree and bus ticket instead (which you need for some of the walks). The cycling path takes you past grazing horses and the majestic looking wide-horned Maremma cows. And with a bit of luck, you'll be giving way to a family of wild boars crossing the road. Click through for details and maps of the trekking and walking routes. There are two park offices. The HQ in Alberese (phone: +39 0564 407098, centrovisite@parco-maremma.it) and another one in Talamone, each with different walking options. Park tickets from 4€ to 9€ per person (inclusive bus service). The beach can be reached for free on a bike. In the summer there is a bus from Alberese to the beach (1€ per person). Some of the walks are doable in summer too, however due to the heat it is highly recommendable to hike the park from October to May. As an alternative guided mountain bike, horseback, chariot and canoe excursions can be booked via the park office. 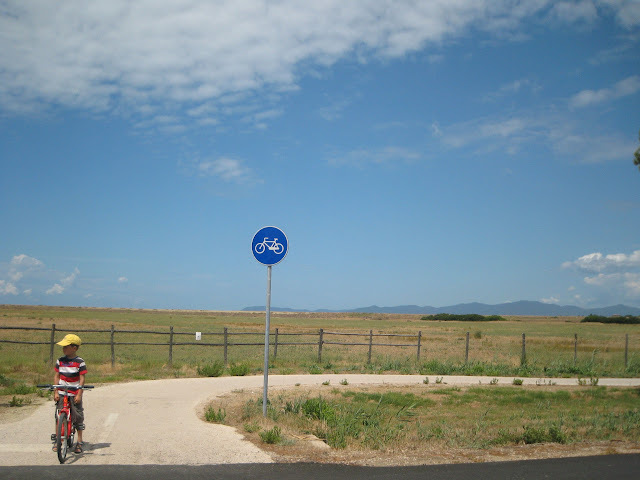 Maremma National Park: Italy's best kept cycling path.